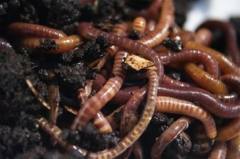 We guarantee our vermicast had no other impurities. We only sell by bulk with minimum order of 1 sack which is cheap enough to have you start a small backyard or container gardening system just like when me and my wife had been starting to grow our organic vegetable garden in the Philippines. Right now we are already harvesting healthy organic, fertilizer and chemical pesticide-free vegetables. Our supplier have asked if we could help market their vermicast which are coming from Laguna, Cavite, Pampanga and Bulacan area and now we are bringing the high yielding quality vermicast from African Nightcrawler worm castings which are 100% pure and organic into Metro Manila. Orders are currently accepted from in here in Caloocan City where me and my wife are growing our organic vegetable garden. We are encouraging people from all walks of life to do that same to become self-sustainable and be able to produce safe, healthy and organic vegetables and possibly this year, we are looking forward to grow fruit trees too (small ones like lemon, atis, guyabano) in our backyard. For those who are interested to buy our 100% pure vermicast, please call us (Sam or Ana) at least 2 days in advance at Tel. Numbers – 3663645 (home) / 0917-5019245 (Globe) / 0939-9269335 (Smart) / 0932-8725532 (Sun). We are encouraging small backyard gardeners like us as well as small farmers to use organic fertilizer like the vermicast so as to produce safe organic food. 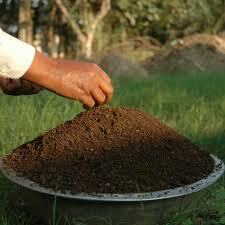 We guarantee the purity of our vermicast. For that, we are giving our buyers an absolutely 100% no questions asked, no strings attached and no hidden agenda MONEY BACK GUARANTEE! if you won’t like our product quality. We are inviting everyone to come to our backyard garden home store in Caloocan City for you to see our organic backyard and container garden where we use our vermicast supply to produce healthy and harmful chemical-free vegetables and fruits. 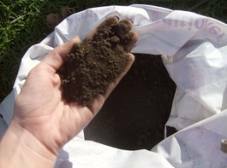 To help you out for starters on how to mix and match vermicast with your soil for recovery of depleted soil nutrients, please read our guide on Mixture Ratio of Vermicast Vs Soil.